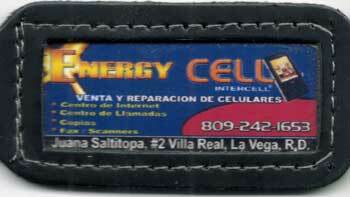 Magic Jack is one of the cheapest ways to make calls from the Dominican Republic to the United States. Well, at least if you don’t count the need to have a computer and a relatively good internet connection. There are a few details that are worth considering. These are the top questions that our readers have asked us here at DR-DominicanRepubilic.com about using Magic Jack in the Dominican Republic. Once you are here in the DR you will likely want to at times, call home. You have several ways to accomplish this. Your Cell Phone. If you keep your plan from the US or another country and try to call back home, just connecting into the DR cell phone network is going to cost you (a lot!). Unless you have money to burn this is not really a good option. You can however, switch out the chip in your phone to a Claro or Orange chip and buy minutes here. This also lets you call the US and the rates are pretty good. You then switch chips again when you head home. The one possible problem with this is that many phones are locked out from being used in other countries. That means you have to find a place to “Unlock” your phone. Not difficult but a little more of a hassle. They will not do that in the phone company offices. You also have to be sure that your phone can take the same chip. An alternative is to just buy a cheap phone here in the DR ($15 – $20) and put some minutes on it.